OTTAWA -- Access to treatment for opioid addiction is about to get easier as the federal government promises changes to drug laws that would do away with some of the obstacles preventing doctors from offering prescription heroin and methadone. "We know way too many parents, sisters, brothers, daughters, sons or loved ones who have died because of opioids," Petitpas Taylor said. "I believe we can turn the tide on this crisis. And we can do it together." 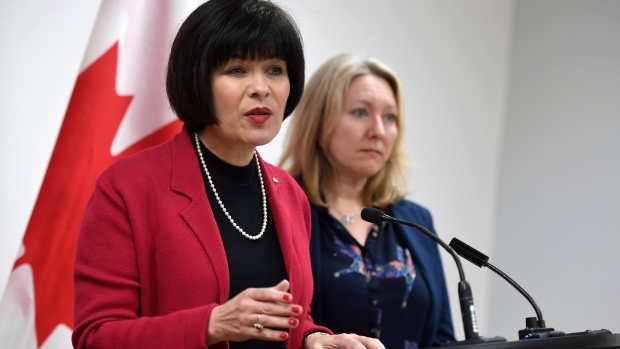 The government's announced changes will mean doctors no longer require an exemption, something Petitpas Taylor called a barrier that discourages the treatment from being offered. 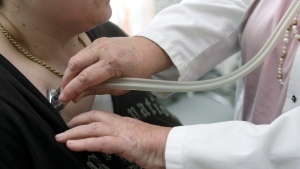 Nurse practitioners who work in one of the six provinces that already allows them to prescribe methadone will also no longer be required to apply for an exemption -- those include Nova Scotia, New Brunswick, Newfoundland and Labrador, Manitoba, Alberta and British Columbia. Last month's federal budget earmarked $231 million to improve access to treatment, address stigma and gather data on the opioid crisis. That includes $18.7 million over five years to tackle the stigma faced by people who use drugs, which includes a public education campaign aimed at changing stereotypes. "Stigma is a huge barrier for people getting the treatment that they need. And it's not acceptable," Petitpas Taylor said. "You have to find stable housing, you have to find support, you have to treat their underlying mental health problems and their addiction is all part of that," Turnbull said. "The real work begins now." "Our clients have been vilified often by many rather than supported," she said. "They've been judged for being in crisis rather than being supported. People have placed barriers in front of them -- physical, emotional, systemic -- rather than broken them down." Of the $231 million set aside in the federal budget for the opioid crisis, $150 million will go to provinces and territories to improve access to treatment, about $32 million will help border security intercept fentanyl and other illegal substances and nearly $18 million will improve research and access to public-health data and analysis.